Notes: Kilpeck Castle is thought to have been built first around 1090 as the administrative centre of Archenfield. A few walls of the 12th century or 13th century keep still stand on top of the motte; these are not well preserved. 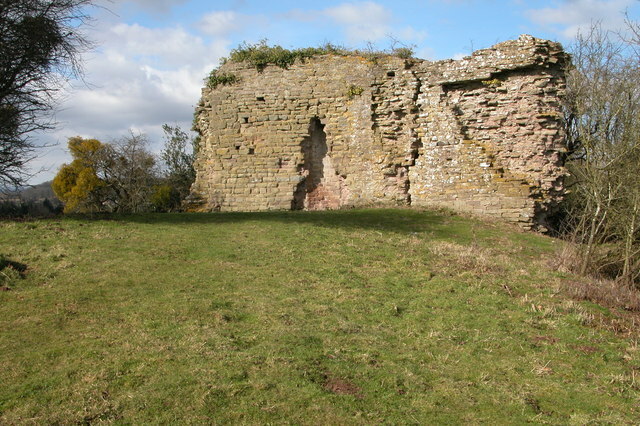 A fireplace and chimney flues are visible and two sections of standing castle walls.